What Is The Best Drum Set? The winner of the best drum set goes to this stunning Pearl Decade Maple kit. Pearl has designed this drum set to push the boundaries of performance, sound and value. It truly delivers sonically and visually. Pearl has spent 10 years of process and material refinement to create the perfect shells for this drum set. The result is a 6-ply 5.4mm 100% maple shell that is very thin but incredibly strong, and reacts quickly when played to deliver wonderfully clear tones. The Pearl Decade Maple drum set is wonderful to play, and it sounds like a truly professional drum set. The quality of the drum shells really sets this kit apart from the competition. All of the drums included sound remarkable with a clean and resonant tone, from the clear highs of the rack toms to the powerful low end in the kick drum and floor tom. 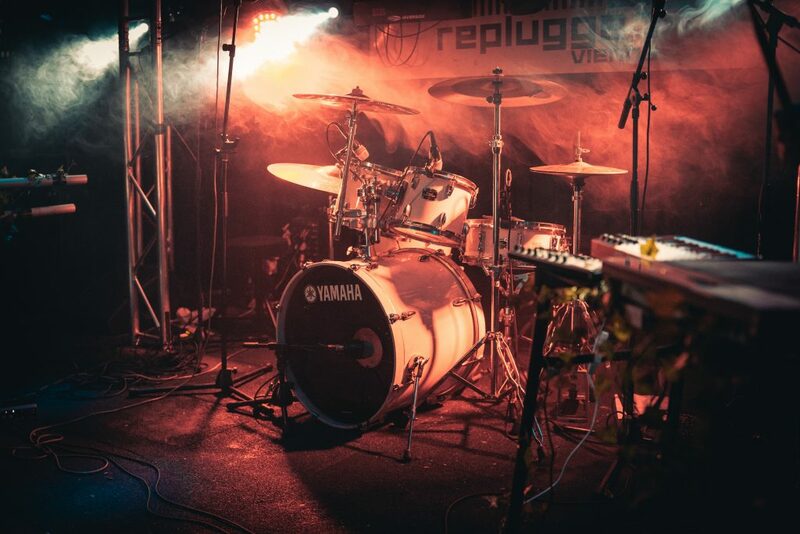 The hardware included with this drum set is highly functional, including the Opti-Loc suspension system which allows the drum shell to resonate freely whilst being mounted, and the Uni-Lock gearless tom arms that offer a high level of adjustability. With this drum set Pearl has introduced a new style of durable, mini tuning lugs that look fantastic on the all-maple shells. Their low mass allows for maximum shell resonance whilst retaining strength despite their small size. The time Pearl has spent perfecting this drum set really shows with the quality of the finished product. This is the best drum set under $1000 and also comes with a lifetime warranty, reflecting Pearl’s tradition of excellence. The Yamaha Stage Custom drum set has been an institution for over 30 years in the drumming world. Yamaha employs a 100% premium birch shell for these drums, as well as the very same lugs and hardware used on their flagship drum sets. The all-birch shells produce a punchy and bright tone, and all of the drums deliver a powerful and focused sound. These drums are incredibly versatile and sound excellent both live and in the recording studio. The quality of the construction of these drums is tremendous. The sound is fantastic due to the care of craftsmanship and quality control undertaken by Yamaha in production. Whilst playing the Yamaha Stage Custom drum set my immediate impression is one of surprise that I’m playing a mid-priced drum set. It delivers such a strong performance from each of the drums and sounds like a drum set worth much more than the price tag suggests. The resonance and tone achieved from the premium birch shells is very impressive, and the quality of the lugs and hoops with the drums is the same premium quality used on Yamaha’s top-end range of drums. The toms are open and bright, whilst the snare drum delivers a strong attack with a lot of snap. The kick drum and floor tom have an equally strong response with heaps of low end and punch. 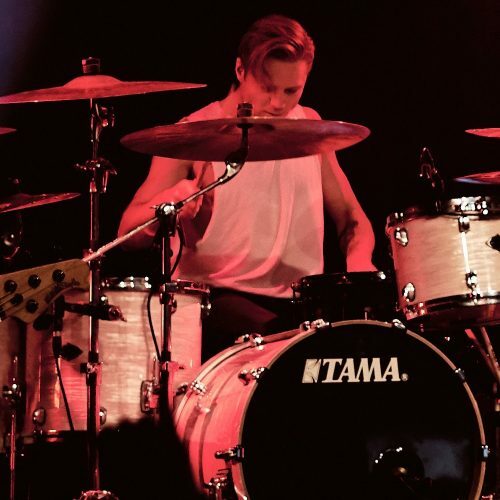 The Yamaha Stage Custom drums are an excellent choice for both the aspiring drummer and seasoned professional looking for a great sounding drum set at an affordable price point. If you are after a punchy and bright birch drum set, this is the best intermediate drum set for you. Up next for review we have the PDP Concept Maple drum set, featuring 100% maple shells with excellent quality components to match. Within the design and manufacturing process, DW has taken the reigns to ensure this is a product of significant quality. My first impression of this drum set is a positive one. The drums look fantastic and I can see similarities in aesthetics between this PDP set and a top level DW Collector’s drum set. It’s not quite the real deal, but it does borrow a lot of great features. The 10-ply snare sounds fantastic, and it delivers a lot of snap and attack as well as articulate ghost notes when played softly. The 7-ply toms are balanced and well rounded with a lot of warmth thanks to the all-maple shell. The kick drum is the stand out part of this drum set for me. It delivers a huge, thunderous sound and packs a lot of low end. PDP has inherited some high-end DW features for this drum set, including the classic MAG snare throw-off and true-pitch tuning rods for all of the drums. PDP has also utilised specific graduated counter-hoops for each individual drum offering greater shell resonance. This drum set sounds great across a diverse range of tunings, and it will fit well into any musical application. The high quality maple shells allow the drums to sing and the kit really does deliver fantastic looks and sounds at a great price point. This Gretsch drum set is a fantastic new development. The classic Catalina Maple sounded great, but Gretsch has made some necessary improvements to really bring a new lease of life to this model. The new Gretsch Catalina Maple drum set features new and improved hardware that improves performance and functionality as well as giving this model a contemporary new look. When being played, the kit sounds incredibly warm and open, which one can credit to the premium maple shell and rounded 30-degree bearing edges given to each of the drums. I’d describe it as quite a vintage sound but with a modern edge. 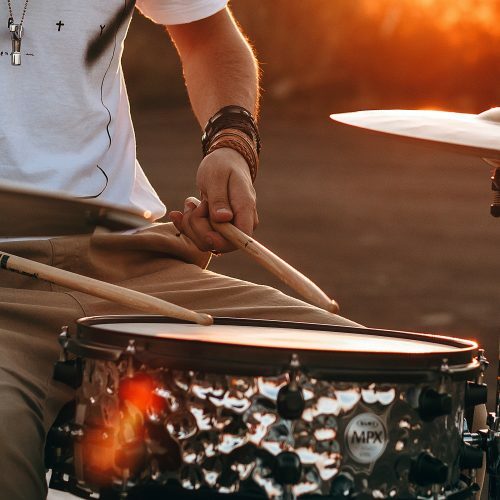 The drums are quite low in pitch, but there is enough attack and pop from each of the drums to really make its presence known in any musical style. This drum set is diverse enough to perform brilliantly across any live music or studio application. The hardware included with this drum set is stylish and durable, and the whole drum set looks very attractive visually. If you are looking for the classic Gretsch sound on a budget then this is the best drum set for you! Lastly up for review we have Tama’s mid-range Superstar drum set. This model has set the bar for quality and design at the mid-range price range for over for 40 years. This drum set features thin 100% maple shells that deliver a wonderful projection and a well-rounded tone. These drum shells are incredibly thin and are very sensitive, opening up well to all styles of playing. The drums provide a well-rounded and full tone that is makes it difficult to distinguish these drums from a kit of a much higher price. The kick drum has a rock-solid low-end punch, and the toms project a rich and warm sound. The snare is ultra-responsive and it has the ability to deliver powerful rimshots and backbeats. The hardware included with this drum set is both durable and rugged. The Star-Cast mounting system is functional and offers easy adjustments. The Tama Superstar Maple drum set offers a lot in terms of sound quality and performance at an affordable price. It holds up well in different musical applications both live and in the studio and blends in well for all styles of music. Whist this may not be Tama’s best drum set available, if you are looking for high quality at a great price then this is another fantastic option for you. So you’ve decided that you have outgrown your beginner drum set, and you want something that looks and sounds the part – something that you’ll be proud to show off on stage and even start recording with! The good news is that drum manufacturing has come a long way over the years, and you can achieve a professional level sound at an affordable price. There are a lot of great intermediate level drum sets on the market that are less than $1000. Admittedly, these drum sets are not the top range drum sets being sold by drum manufacturers, they do however inherit plenty of high-end features one would expect from a premium kit. When tuned up well you can obtain a sound that it is genuinely hard to distinguish between the kits used by pros. Why Upgrade My Drum Set? There comes a time in every musicians journey when he has made full use of his entry-level equipment. Maybe you feel limited creatively, or are unhappy with the sound of your drums. When the time is right, it is certainly wise to make the decision to upgrade. Buying new musical equipment is very exciting. It provides the framework for capitalizing further on your passion for playing the drums. Playing great sounding equipment will in turn allow you to feel like you are performing better and this will increase your overall satisfaction. Owning quality musical equipment also provides a real sense of ownership, and the responsibility of owning, maintaining and caring for musical equipment is a valuable lesson that also is very rewarding. This is standard practice when purchasing a good quality drum set. It is generally only beginner drum sets that will include hardware and cymbals, and these will often be low quality items. 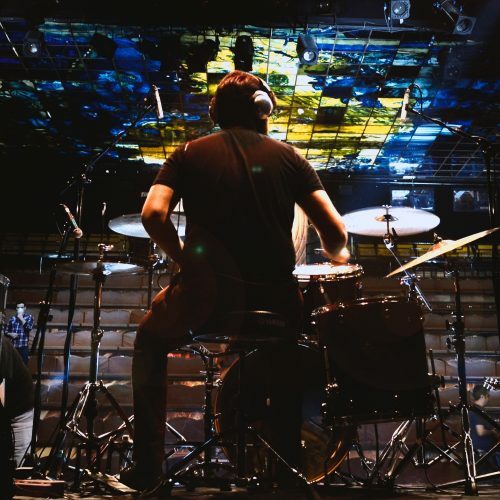 If you are upgrading to an intermediate drum set from a beginner drum set, you will already own hardware such as cymbal stands and a bass drum pedal, and cymbals also. If this is your first drum set purchase then you will also be required to invest in drum hardware and cymbals separately in addition to the drum set shell pack. Maple offers a legendary performance for drums. It has a distinctive warm tone and projects smooth, balanced frequencies. Maple drum sets sound great across a wide tuning range and they make great all round performers. Birch is also a very popular wood used for drum sets. Birch has a brighter and punchier tone and it has great high and low frequencies that sounds crisp and focused. Birch also makes a fantastic choice for drum sets.